Many adults have fond memories of playing outside every day and only coming in for meals. Impromptu ball games with friends and playing till the street lights came on. Kids nowadays are spending less and less time outdoors in favor of more sedentary activities. Video games, internet usage and social media, and TV take up lots of kids’ time these days. Add to that reduced gym time at school and more homework demands on kids, and it’s all a recipe for little time spent at play…outdoors…with others. According to the CDC, kids should get at least an hour of physical activity per day. Sports help provide this hour, and have many other benefits as well. Read on to find out the benefits of sports for kids. There is somewhat of an “epidemic” of obesity in the U.S., and it’s not limited to adults. Nearly 1/3 of children and adolescents between the ages of 2 and 19 are either overweight or obese. 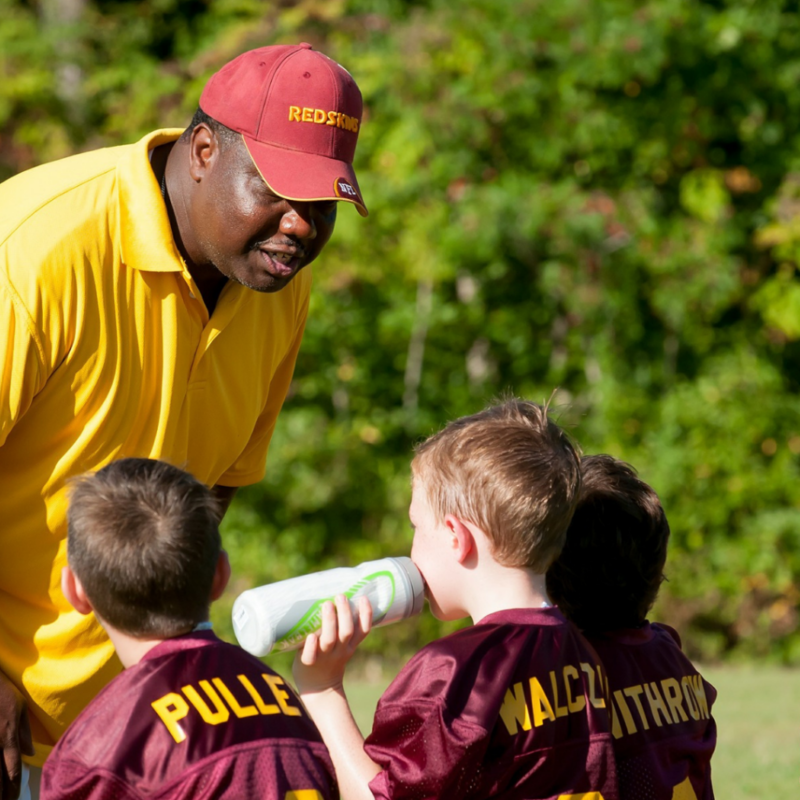 Studies have shown that playing sports, like any physical activity, can help prevent obesity in kids. Playing sports during the day has been shown to lead to better sleep at night. They can help you fall asleep faster and sleep more deeply. Just think about how well you sleep on days you get a good workout in! Playing a sport they’re interested in is a great way to help bring a shy child out of their shell. It helps to connect with other kids who have similar interests. There’s a built-in friend group in a sports team! Encourage friendships between kids on your child’s sports team by organizing playdates for younger kids or allowing your older kids to hang out with teammates after practice if they’d like. Physical activity has been shown to have mental health benefits. It found that participation in school sports lowers depression symptoms, lowers stress, and results in higher self-rated mental health. Playing on a team and scoring points or performing new sports maneuvers can help boost a child’s confidence too, which contributes to these mental health benefits. Team sports help improve social skills in kids, including cooperation, respect for others, and leadership. They learn to play as a team, cooperate with others, follow directions and rules, and listen to a leader, as well as act like one themselves in appropriate situations. In addition to all this, kids who play sports are also more likely to be active as adults, as habits nurtured earlier in life can easily translate into routines later on. So start your child in a sport today! If you want to learn more about exercise and child sports, click here for more information. What’s The Deal With The Inconsistency Of Officiating In The NFL? Does the NFL concussion protocol really protect players?